This giveaway event is hosted by Danielle @ a delicious obsession! This event is to celebrate the birth of her son, which was in March. She would love to offer her readers the chance to win some of the great baby products she has been given the opportunity to try! This giveaway consists of products that you and your baby will love! Giveaway will run from May 21st through June 3rd. For your chance to win, enter by using the Rafflecopter form below! Good luck! Teething Necklace from Amber Slumber - Amber Slumber sells Baby Amber teething necklaces that are made from 100% natural baltic sea amber. They have a huge variety of necklaces to choose from. Very stylish, modern, and beautiful. Glow Bug Cloth Diaper - These cloth diapers are very cute and stylish for little boys and girls. Each cloth diaper has several snaps and can be adjusted. You can choose for a girl, boy, or gender neutral. Blanket My Baby Personalized Baby Blanket - These blankets are absolutely adorable. They are very soft as well. Get your blanket personalized with your baby's name. Choose which color and font you would like. The blankets are smaller then an average baby blanket. It's more of a cute security blanket. Bounce Back Fast! 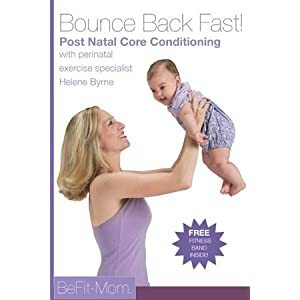 Post Natal Core Conditioning DVD - This isn't for baby but your baby can enjoy some one on one time with mommy while you get your belly back in shape after giving birth. Mobi WallMate - These WallMate are really neat. A cute nightlight for your children. They light up different colors or you can have set at a steady color. Available in a monkey, hippo, and elephant. Mobi AnimaLamp - Perfect to use a desk lamp so your children can get their homework done, use on your changing table for your baby when you're changing those midnight diapers, use in the tent while camping and more! Available in a monkey, bunny, and giraffe. Thermal-Aid Bear (Lavender) - This bear can be heated in the microwave and used as a heating pad or put in the freezer for use as a cool pack. 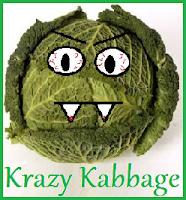 Use to relieve headaches, muscle aches, joint pain, fevers, and more. Perfect for kids and adults. Baby Magic Calming Baby Bath - Relax your baby by giving him/her a nice bath and use Baby Magic's Calming Baby Bath. Made with lavender and chamomile. Tear free, dye free, hypoallergenic, enriched with vitamins and aloe.